In the Matrix, Morpheus offers Neo a choice: blue pill or red pill; blue pill and he’ll wake up back in his bed, able to continue living in the fictional world that is the Matrix. Red pill and he’ll see the brutal but true real reality that exists outside the Matrix. 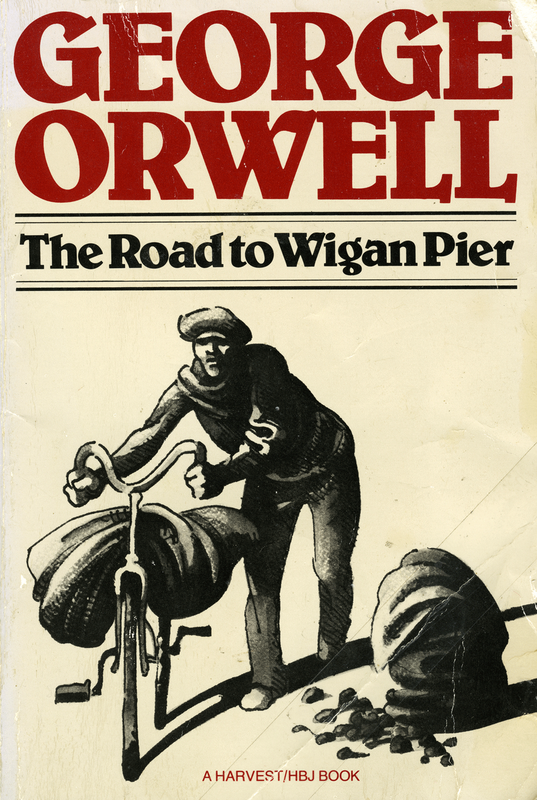 I was reminded of Neo’s choice – the opportunity to see the truth, even if it’s harsh – when reading George Orwell’s The Road to Wigan Pier. In the 1930s, the Left Book Club, a socialist reading group in England, paid for Orwell to document the realities of poverty and staggering unemployment in northern England. The thought, it seems, was that such documentation would straightforwardly lead all readers to be reaffirmed in their commitment to Socialism. And, no doubt, it would plainly bring non-Socialists around. In other words, the club wanted to give people the opportunity to understand more deeply what sort of poverty and existence they were fighting against. Orwell, however, had additional plans. In addition to documenting the awful conditions in the first half of the book, the second half is perhaps best described as a critique of Socialism (or, more precisely, of Socialists) given with the hope of saving it from itself. The second half centers on the idea that it is class prejudice that truly gets in the way of Socialism’s progress. That is, real Socialism requires reckoning with the realities of classism — a sort of prejudice that is ingrained in us in ways more fundamental than the economic prejudices (poor v. rich) Socialists usually focus on. Orwell also provides a fantastic discussion about how the technological progress Socialism seems to require at the same time makes it harder for us to figure out what a good life even looks like. If we create ourselves and exercise our virtues though work and struggle, what happens when we live in a world where technology has made self-creating-and-enhancing work unnecessary? What’s a virtuous person look like in the Brave New World? What is it we are really trying to achieve here?Simply more leisure? But what do we do with leisure time? Easier lives? But that doesn’t seem right either, or else Brave New World wouldn’t seem so… discomforting. This entry was posted in Book Reviews and tagged academica, bibliophilia, Book Reviews, socialism on April 29, 2015 by heathermichellewhitney.